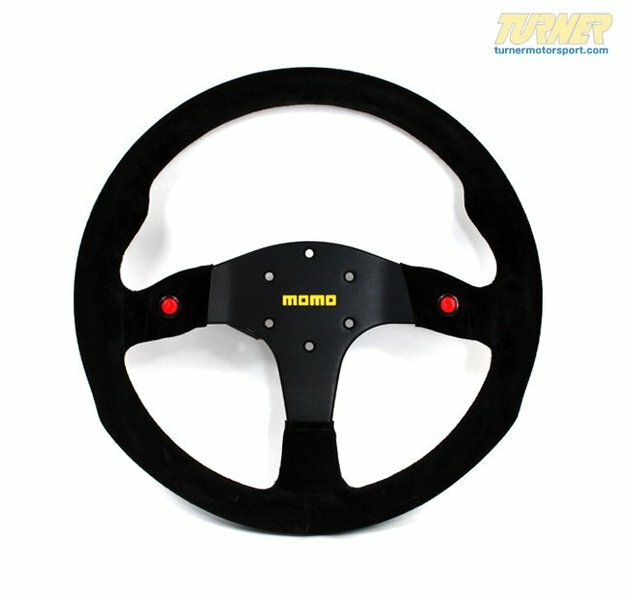 MOMO Mod.80 Steering Wheel for track/competition use. 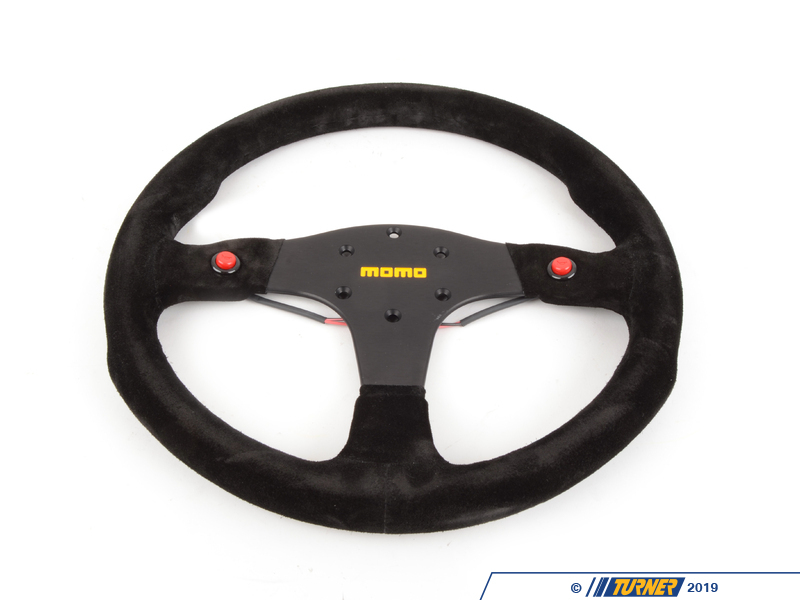 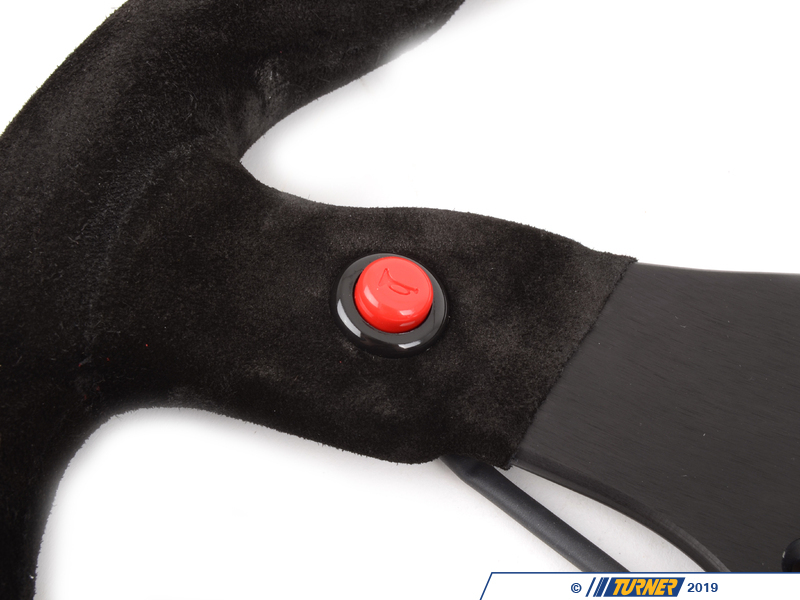 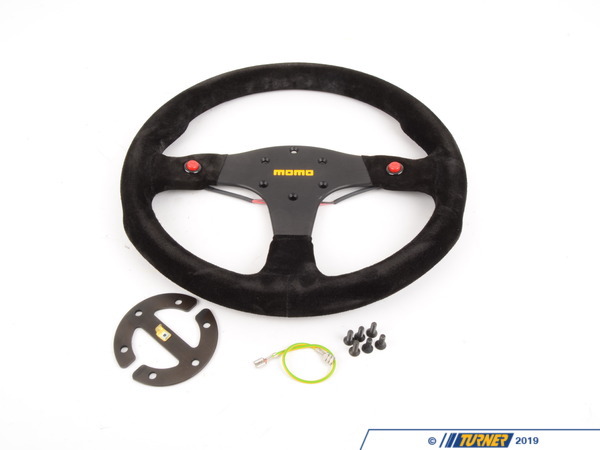 This is a classis MOMO race wheel with thumb grips, additional palm grips on the rim, and buttons for radio and/or data control. 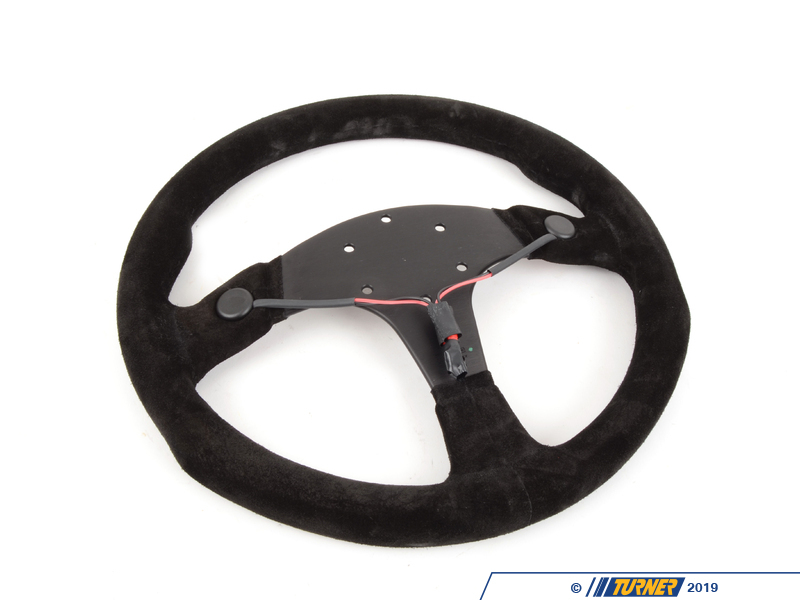 This is the standard 350mm diameter with black suede covering and aluminum center. 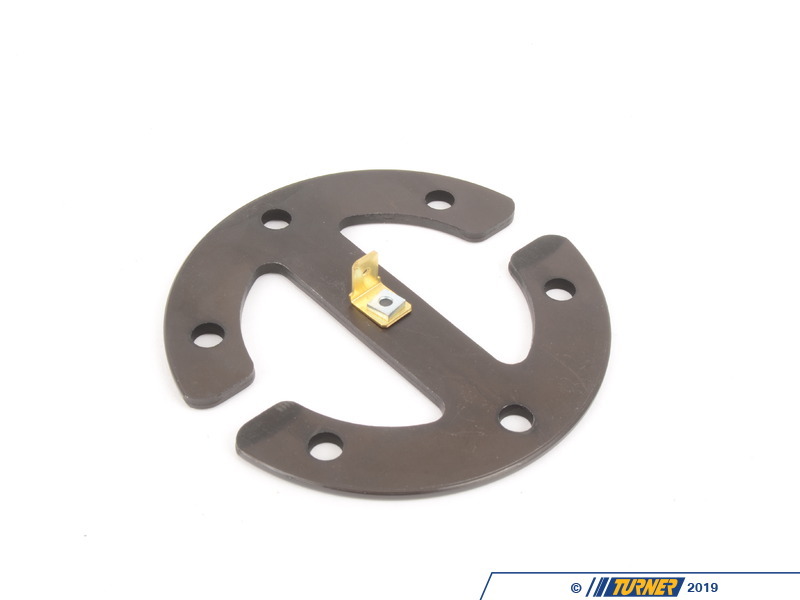 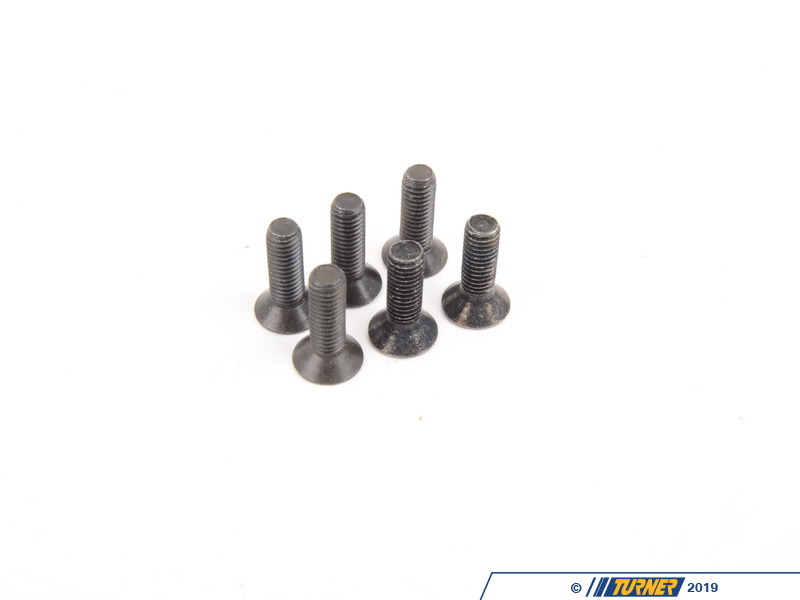 Hub adapter required, choose yours below.